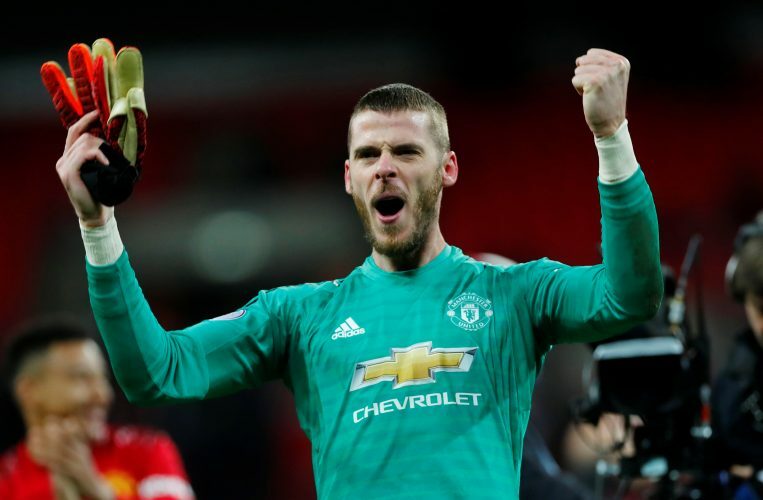 David De Gea has undoubtedly been one of Manchester United‘s best players in recent years, and his performance during their latest 1-0 win over Tottenham Hotspur was proof of just that. The shot-stopper made 11 saves at Wembley – the most by any goalkeeper in the Premier League this season – single-handedly helping the Red Devils retain 3 valuable points. But in spite of his world-class antics in goal, his future at the Mancunian outfit remains far from secure at the moment. United did activate the one-year extension clause in his deal back in November, thereby extending his stay upto 2020 and preventing him from agreeing a pre-contract with other interested parties in the ongoing January window. However, Manchester United need to act quick if they are to secure the Spanish international’s long-term future, as reports indicate that the player himself is also keen on penning down a brand new contract. According to the Daily Mail, David De Gea wants to commit his future to the 20-time Premier League champions, but only if they agree to his wage demands. The Spaniard hopes to see his salary rise up to the region of £300,000-a-week including bonuses, which will be a significant improvement from his current £200,000-a-week wages. Many United supporters have already provided their input on the matter on social media, with a majority of the fan-base urging the club to meet the 28-year-old’s demands and secure his services for the years to come.